When you hear the words “therapeutic hot stone massage”, what images and thoughts come to your mind? Wait, don’t tell me. I’ve got this. A beautiful, pale woman stretches out on a luxuriously plush looking massage table. A pristine white towel is pulled back to hip level, and there’s an orchid gently shimmering in her hair. Sleek, black stones are perched down the length of her spine, and a delighted, dreamy smile plays at the edges of her mouth. That orchid-bedecked woman has somehow wormed its way into all of our brains as a stand-in for therapeutic hot stone massage. I’m here to tell you a different story about the stones. Yes, they are a luxurious indulgence. Yes, they can put you into a deeply relaxed, rejuvenated state. Yes, the stones are sometimes placed along your body. But there is SO MUCH more possible with hot stone; so much more than rocks on a back and an orchid in your hair. I developed therapeutic hot stone massage as a natural progression in my work doing massage for pain relief. I started running into people with long-standing pain issues. Issues that hadn’t resolved after years of attempts to get rid of the pain through massage, yoga, stretching, heat, ice, rest, etc…. They came in asking for deep tissue massage. Or relaxation massage. Or any kind of massage that would provide some kind of relief. And I began trying out the hot stones as a therapeutic tool to efficiently, effectively, and non-invasively cut through bound-up muscles, tight muscles, scar tissue, trigger points, and more. The weight of the stone combined with the therapeutic benefits of moist heat work together to melt muscles faster than fingers alone. And they give you real results, quickly and effectively, resolving chronic issues like SI Joint dysfunction, shoulder issues, and low back pain. The benefits of Therapeutic Hot Stone Massage are numerous. There are the basic health benefits: stress reduction, calming the nervous system, pain relief. As well, the stones put your body into a deeply relaxed state that serves as a reset button, recharging all of your body’s own self-care systems. That alone can be enough to relieve physical pain resulting from stress, tight, sore muscles, or an injury. The stones are also a powerful and effective tool for specifically addressing areas of chronic pain or tension, freeing up areas bound by scar tissue, or assisting an injured body part return to its full functionality. And it’s a great companion therapy for physical therapy and other injury recovery therapies. The heat from the stones allows the therapist to penetrate muscles more deeply than using hands alone, while causing less pain and discomfort. 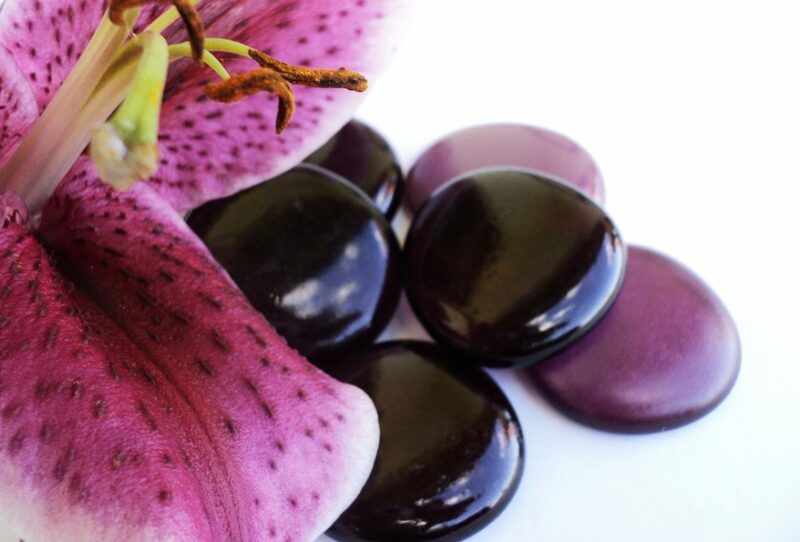 The benefits of hot stone are deeply therapeutic, while the experience is gentle, non-invasive, and rejuvenating. Who knew—so many benefits, no orchid required! Kassia Arbabi is a Licensed and Board Certified Massage Therapist at Nimbus Massage. 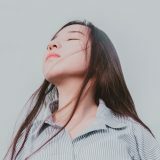 She has training in Connective Tissue Massage, Myofascial Massage, Neuromuscular Therapy, Ortho-Bionomy, Stretching, Hot Stone Massage, and Polarity Therapy.